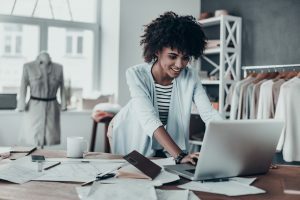 Starting your own small business can be intimidating but if you find the right niche and you develop a passion for it, it can be the most rewarding decision you’ve ever made. But what kind of business would I start? Start by exploring what you’re good at. Be realistic. If you “read an article on it that one time,” it’s not a skill. Here, you need to be able to separate out what you’re really good at and what you wish you were good at. There’s a difference. Your skill needs to be something you’ve had at least some experience in. If you are really, really passionate about something you’re not particularly skilled in, ask the question, is it practical to develop skills in that area or is it really more of a fantasy? Once you’ve answered this honestly for yourself, you can move onto the next. Out of the skills you listed above, which do you find the most joy in. If it’s none, we’re in trouble. To have developed skills in the areas you listed in question one, it’s safe to assume you enjoyed some aspect of them at some point, so hopefully there are some that you enjoy. Work is work, at the end of the day, so your heart doesn’t need to sing or your soul smile, but there should be a sense within you that both your head and your heart agree that whatever you choose feels right. Rank your skills in order of enjoyment. At the top of your list should be the skills you enjoy most. At the bottom should be the skills you enjoy least. From there, it’s time to eliminate. Cross off the skill at the bottom of the list. That one’s a gonner! Then make your way through crossing off those you’re absolutely not interested in using in your day to day work. Once you’ve created your shortlist, you can move onto the next question. There is no point in starting a business if there is no demand for it. Take a look at the first skill on your list. That should be the leader of the pack in terms of passion. So far you have at least one audience member – you! Now it’s time to find out whether other people would be interested, too. The best way to do this is to do some research into the product or service demographic. Your market research will guide you in the potential success of a business in this area. By now, you may have started to become excited about one or other prospect on your list. It’s really important not to look through rose coloured glasses at this point in the process. This is where many small business owners let their enthusiasm get away from them. Make sure you keep an impartial stance when assessing the potential demand for the product or service you plan on providing. It comes back down to being rational and realistic. Will people pay money for your product or service? It seems obvious, but your skills need to be used to produce something that people will want to pay money for. We’re not talking loose change here – we’re talking big money. Your idea needs stand alone and to be scalable of its own accord. It needs to be able to gain interest and draw in cash quickly. Before you jump headfirst into your idea, you should consider seriously whether the time, effort and money you will need to put in to get it off the ground will be worth the return. These questions are simple but, when answered honestly, can be very effective in helping you identify your niche. Single out what is important to you now before you’re nose deep in a business with limited potential and it’s too late to make a change. Good luck – and don’t forget to check back in with us if you need help getting your new business online in the future!